Travelling is now a habit of every young professional. It is now easy go anywhere you want, specially when the costs of travelling became fairly affordable even to hardworking people like us. Boracay, Palawan, Cebu.. Everyone is dreaming of wandering to these places. It's now easy to arrange our travel dreams with the help of Shroff Travel. Shroff Travel's goal is to create memorable travel experiences for everyone who has a passion for adventure and discovering the world. Their main idea and tagline expresses just this - "Experience Life, DO Travel!" Naitas Travel and Trade Show in Hall 2 SMX Convention Center on May 29-31. 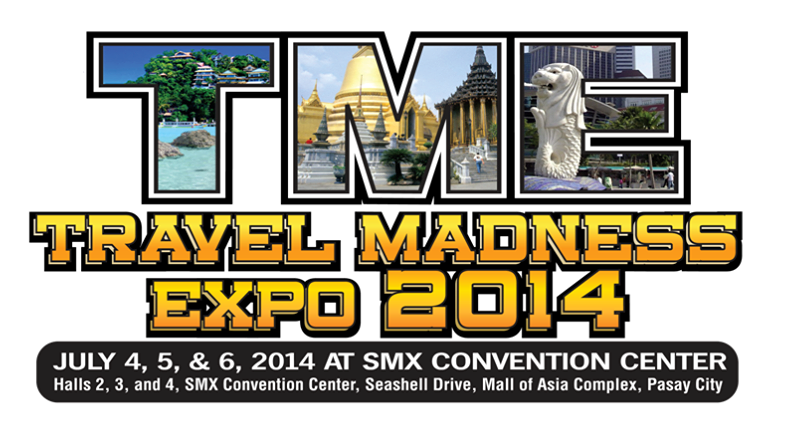 26th Philippine TravelMart in SMX Convention Cener on September 4-6. There will be exciting flight promos, as well as unbelieveable discounted 3D/2N land packages for destinations like Bali, Indonesia and Beijing, China for as low as P3870/per person, Bangkok for P4230/per person and Puerto Princesa for P1679. Also, there will be Philippine Luxury Hotel discounts for as much as 50-70% off on properties like Huma Island, Palawan and Maxims Manila. For those looking for more unique destinations, there will be offers for Athens, Budapest, St. Petersberg, Madrid, Istanbul, Tashkent (Uzbekistan) and many more.